It is possible to get a free DNA test whether or not you are able to make it to Back to Our Past. These tests are sponsored by Project Administrators who run specific projects at FTDNA (FamilyTreeDNA). 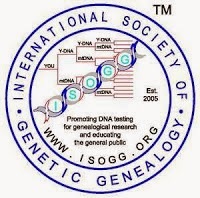 Most of them are members of ISOGG (International Society of Genetic Genealogy). Have a look here to see if your surname is on the list. If it is, you can either come to the FTDNA stand at Back to Our Past and see if you qualify for the free test, or else you could contact the relevant Project Administrator privately to make enquiries and (if you qualify) they will arrange for the test to be sent to you in the post. The testing is carried out by FTDNA (FamilyTreeDNA) who are sponsoring the DNA Lectures at Back to Our Past and who have a stand at the event where you can have your DNA taken by a simple mouth swab. ISOGG volunteers will be on hand to offer advice on the various DNA tests available, answer any questions you have, and help you decide which test is most suitable to address your own particular situation. Then there is a simple form to fill out with your name, email address, contact details, and payment information. 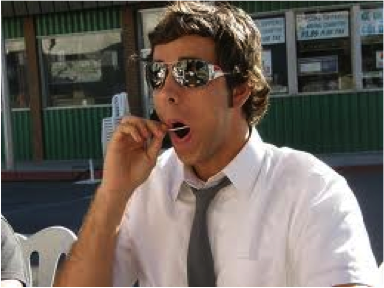 The swabbing takes two minutes - one minute for your left cheek, and one minute for your right cheek - and then you're done. The sample will be shipped off to the lab and you will be sent an email as soon as it arrives there. You will also be emailed a password which you will use (together with your kit number) to access your results on your own personal webpage, provided by FTDNA. Your results will be posted here in about 6-10 weeks and again, you will receive an email when they have been posted. In the meantime you can explore the FTDNA Learning Centre and fill out your ancestry details on your personal webpage. Certain Project Admins are willing to consider fully or partially sponsored DNA tests for people with specific surnames. These are detailed in the table on the ISOGG Free DNA Tests webpage. These free DNA tests are offered directly via the Project Admins or at genealogy events, like Back to Our Past, or Who Do You Think You Are, or Family History Shows. Always check the ISOGG webpage for the most up-to-date list of surnames and the eligibility criteria. Usually this means that you will have to provide them with a copy of your family tree, or at least your direct male line, or a link to your online tree - the requirements vary from Admin to Admin. Anyone wishing to avail of the free sponsored DNA testing can check the eligibility criteria and make enquiries directly to the Admins concerned by consulting the table on the ISOGG website. If the Admin judges you to be a suitable candidate, they will usually arrange for a test kit to be sent to you in the post. Then all you have to do is swab your cheek, stick it in the post in the envelope provided, and 6-10 weeks later you'll get your results. Would you like to sponsor a test for someone else? to discuss eligibility and make arrangements for delivery of the DNA test kit. A free Y-DNA-37 marker test is available for any GLEESON (or variant) who turns up at the FTDNA stand at BTOP or WDYTYA and can provide proven ancestry for at least 5 generations or prior to 1850, who lives in the UK or Ireland, and who is not closely related to anyone already in the project. This offer is on a first-come first-served basis. Contact the individual Project Administrator to see if you qualify for a free test. If you do, print out the email confirming you qualify and bring it to Back to Our Past and we will give you a free test and charge the fee to the relevant Project. The R-L21 Plus Project at Family Tree DNA can sponsor one free 12-marker y-dna test. We can sponsor more if we get some contributions to our General Fund. To contribute, scroll to the bottom of the page at the link below and click on "click here" where it says, "To donate to the general fund please click here." My KENNEDY DNA project at http://www.kennedydna.com will fully fund a Y-chromosome test for any male Irish O'KENNEDY/KENNEDY with a *rural* paper trail in Ireland. Kits will be sent out by me, not completed on the day. I can be contacted at the above website or at query@kennedydna.com. I run the BREWERTON DNA project at FTDNA. The variant is BRUERTON. I offer free Y-37 to any BRUERTON and to any BREWERTON whose line has less than 2 testees. If a Brewerton applied and I did not know his line then I would test him. I run a one-name study and know the family history of most Brewerton's in the UK but the USA is not as well researched due to lack of records on line. There are Irish families with both names so happy to be on the Irish site as well as the main site. Until the end of October 2013, one free Y-DNA-37 marker test is available for a DEVINE (or variant) who can provide ancestry for at least 5 generations or prior to 1850, with sources described, who lives in the UK or Ireland, and who is not closely related to anyone already in the project. This offer is on a first-come first-served basis and expires at the end of October 2013.
donndevine [at] aol.com to discuss eligibility and make arrangements for delivery of the DNA test kit. Greg Flanagan is willing to sponsor a free Y-DNA -37 marker test for anyone called FLANAGAN or REANEY and who can provide proven ancestry for at least 5 generations or prior to 1850, who lives in the UK or Ireland, and who is not closely related to anyone already in either of his projects. This offer is on a first-come first-served basis. He is looking for county Mayo descendants specifically in the area of Killernan, Ardkill, Hollymount and Claremorris. For further details contact the Greg by email at flanagan2mayo [at] gmail.com to discuss eligibility and make arrangements for delivery of the DNA test kit. Could you kindly post the following free offers from the Walker project. Thank you. MORGAN males from Co. Galway or Co. Roscommon. I can sponsor a 37 marker YDNA test for a male with surname MORGAN from northern Co. Galway or Co. Roscommon after review of family history. Please contact me at art.morgan+dna [at] gmail.com if you are interested or have any leads. [Requirements] Free initial 12-marker Y-DNA test for MALES with documented ancestry of several generations of subject surnames in UK and Western Europe areas (Reviewed on a case-by-case basis). GORMLEY males from Co. Tyrone. Anyone have a McHale and/or Scuffle project? Yes, there is! Check out http://www.familytreedna.com/public/McHale/default.aspx and http://www.familytreedna.com/group-join.aspx?Group=Schofield (Scuffle is a variant of Schofield). Please add the surname Callaghan/O'Callaghan to the free Y-DNA tests. I'll pay for up to two unrelated males. I take it you are sponsoring up to two Y-DNA-37 marker tests? Do you have any stipulations about ancestry, etc? And please could you leave your contact details by way of a reply to this so that people can contact you directly to discuss if they qualify and how the kit will be delivered? The only stipulation is unrelated males; request as many generations of their paternal lineage they can provide. I'll pay for the test(s) via the Callahan Surname Project's general fund. They can swab there (if kits are available) or order one on invoice, join the project, and e-mail the kit number(s) to nmachula AT gmail DOT com. My husband is Noel O'Callaghan, we can trace his family 4 generations before him, the story is that 4 O'Callaghan brothers left O'Callaghan Mills in Co Clare, & came to Co Cavan, when we do not know. we can be contacted at ocallaghan.carmel@gmail.com. We would be prepared to sponsor any Swan(n) with documented ancestry to Ireland before the 1901 Census. This would be for a 37 marker DNA test. Details of the Swan(n) DNA Project are on the FTDNA website. There are approximately 900 individuals with these surnames in the 1901 Census of Ireland. We would also sponsor any Picton who appeared, but based on the surname's origins this would be unlikely. We were salmon fishermen on the River Shannon. Have diary. Hi Dawn, there is no NASH on the list of sponsored tests. However, there is a NASH DNA project ongoing at http://www.familytreedna.com/public/nash. You may want to check it out. Any mention of Maleys or Greenes in that diary? Good luck on your project! Hi Maurice, would you be kind to add the following surnames (AR GALL and ARGALL) in the name variations section. Thanks. Joss. I'd like to add a free 37 marker ftdna test for any male Kelly that has proven roots in Donaghmoyne Parish County Monaghan. Also a free 12 step ftdna for any male Kelly with roots going back to the 1830's to 1860's in Carrickmacross, Monaghan area. Hi Ian, Just wondering if you have tested? my son tested out to 111, and matched a chap in the USA ( a McVEY ) Y107 out of Y111, they are definately cousins, albiet about 8th?!!! But all the way both sides of the Atlantic? They are both in the DURFEE project, with FTDNA, you may like to join that . 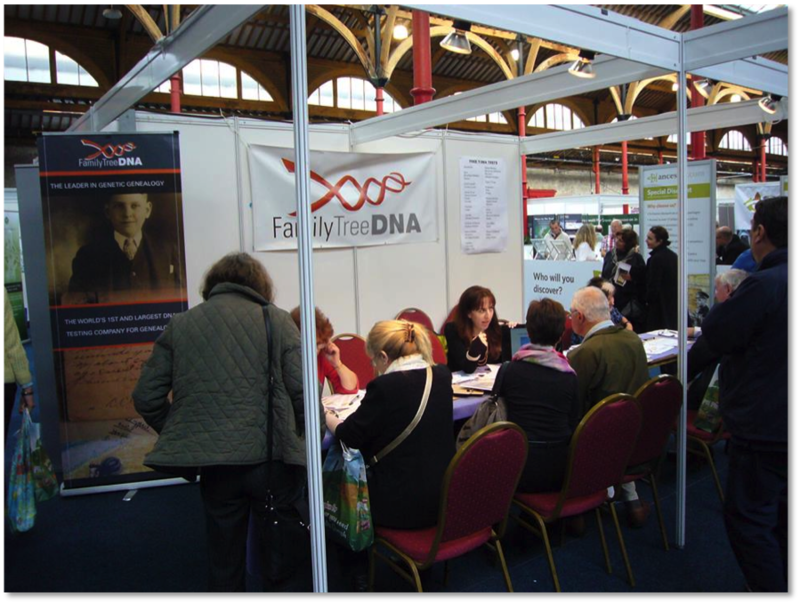 Congratulations to Ms Guy from Cork - she is the winner of our first Prize Draw for a Free DNA Test to be given out at the FTDNA stand at Back to Our Past. If you are attending the event, be sure to enter for a chance of winning. Anyone doing "Park/Parke/Parkes" ; Casey; or Kane (aka de Caen)? Is there any place that is researching the wilson or cheeseboro last names. Hi Dennis, the Wilson name is being researched at the Wilson DNA Project at FTDNA (https://www.familytreedna.com/public/wilson). Also, although there are three Cheesbrough's in the FTDNA database (https://www.familytreedna.com/surname-search-results.aspx?sType=cn&Searchname2=chees), the only project that comes close to the name is the Cheese DNA Project (https://www.worldfamilies.net/surnames/cheese/order). You could contact the Project Administrators for further information. Hope this helps. Hello Dennis. Jusgt found your message, which has been up for a long time. I have probably the oldest documented Wilson ancestral line, and can trace my ancestor to the 15th century, before that records are scance but oral testimony is proven by the location. It would be helpful if you knew were your Wilson ancestor originated. Hi. Is there any Tobin research group ? Is there a Carroll Research group? Any being done for Gaffney, McHugh, Breslin, McAndrew, Mullane? Any being done on Graham or MacFaddin or possible McFaddin. My third great grandfather came from Ireland and was born in Ireland in 1795. I have some corrections to my earlier post and additional information to add. My third great grandfather was born in 1785 and he married Isabelle Mary McCloy who also was born in Ireland in 1785. His father married a McFaddin or MacFaddin. Any sponsorship's for: Hill, Stancliff, Fisette? If anyone wants to sponsor me, I'll give a sample of Wilson dna. My line takes is Scottish ancestry, but it is claimed that many Irish Wilson's are younger branches of my line. This came about after the Bishop Wars, when many Wilson's fled SW Scotland. I am a Scots armiger, with a tree back to the an ancestor living on the Nith, Ayrshire in the 15th century. Before that, it is in oral testimony, and the line is Wilson of Croglin. My dna would be the line to Croglin, if anyone is interested, and would be of interest to Scots, Irish and Americans alike. Are there any of these projects for the Teal or Slater names? Also looking for the surname Locke or any variation of the name. HAS ANYONE TAKEN A LOOK AT THE SURNAME 'FANNIEL'? I found it on an Irish surname site spelled exactly as written and I'm interested in finding out more regarding it. Until the end of February 2018, one free Y-DNA-37 marker test is available for a FREW (or variant) who can provide ancestry for at least 5 generations or prior to 1850, with sources described, who lives in the UK or Ireland, and who is not closely related to anyone already in the project. This offer is on a first-come first-served basis and expires at the end of February 2018.
jwrourke [at] yahoo.com to discuss eligibility and make arrangements for delivery of the DNA test kit.